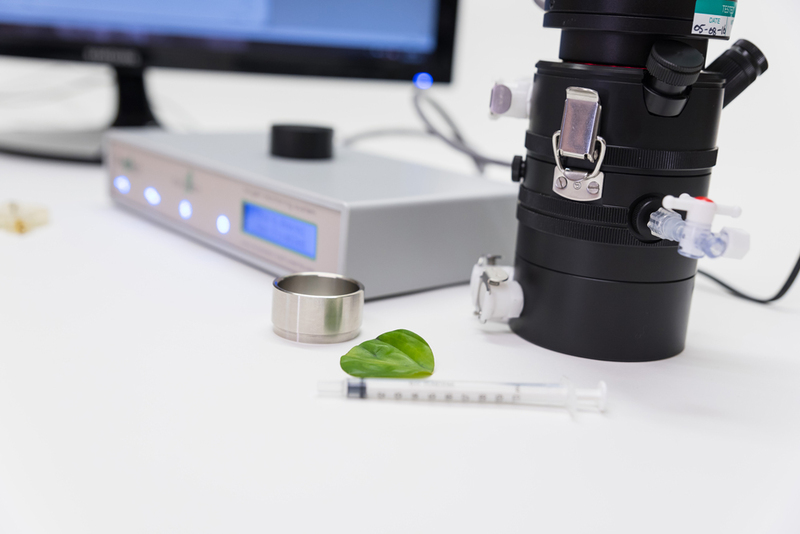 Leaflab 2 facilitates advanced studies of photosynthesis and respiration from solid-state samples. The system is ideally suited to busy research facilities where demands on equipment performance are high but is equally at home in teaching environments for under and post-grad plant biology studies of the photosynthetic processes. Samples typically consist of leafdiscs which are either cut from a broad leaf or made up of a “mat” of smaller leaves to form a circular disc of 10cm2. 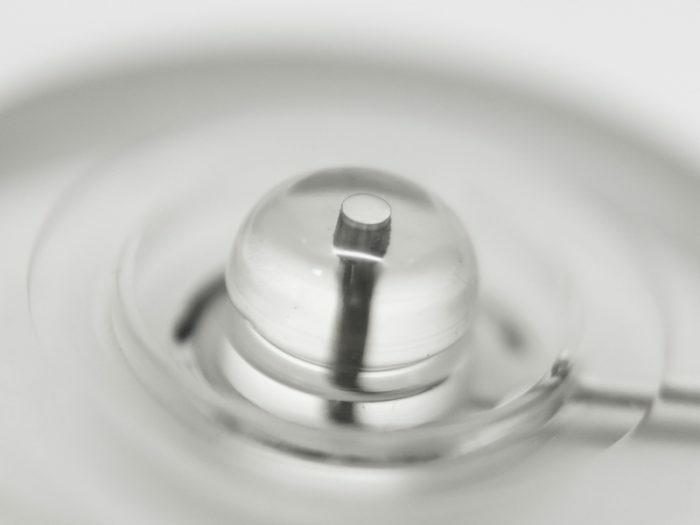 Changes in oxygen content of the sealed sample chamber are determined by the integral oxygen electrode mounted in the base of the chamber. The LH36/2R light housing is designed specifically for use with the DW3 chamber. The light housing mounts directly on to the larger optical port of the DW3 and is held securely in place. The large-area LED array consists of 36 red LEDs arranged in such a way to provide a high uniformity of illumination of laminar samples suspended in the square section chamber of the DW3. 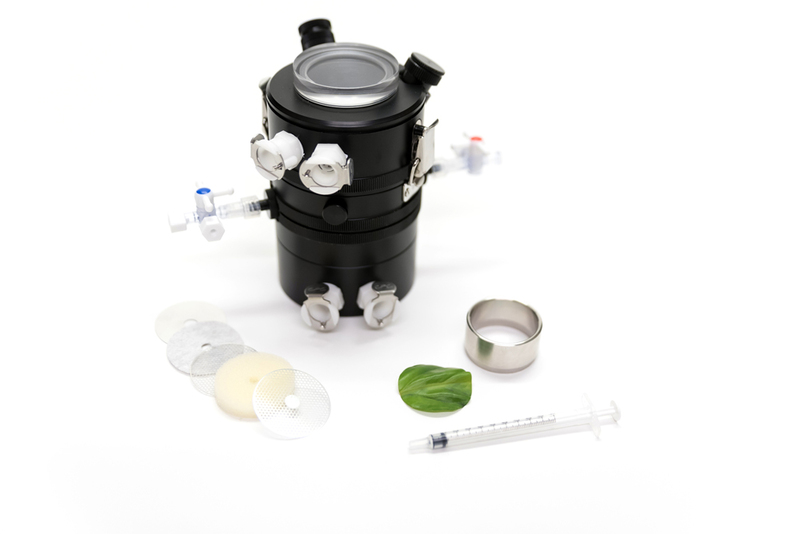 LH36/2R connects directly to the rear of the Oxylab+ electrode control unit. Light intensity adjustments are made automatically based on user-defined PFD tables within OxyTrace+ software. 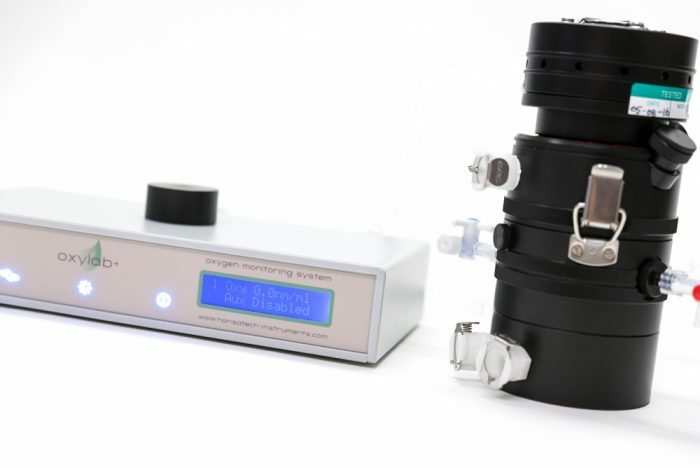 PFD tables consist of up to 20 individual steps allowing complex light response assays to be configured for automatic execution during a measurement. 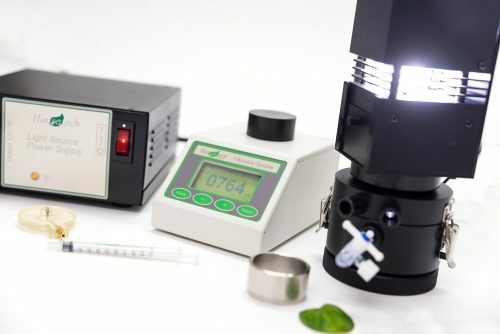 The LH36/2R has an integral cooling fan which automatically switches on to cool the housing when the light intensity reaches a certain point. 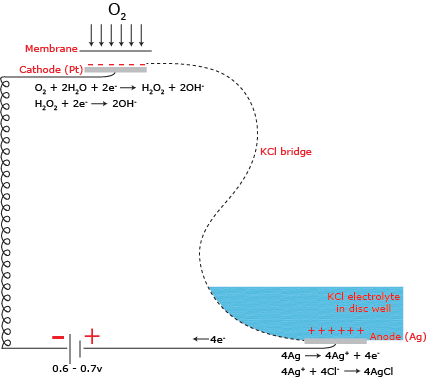 This provides stability control of the light intensity when required at higher light intensity steps. 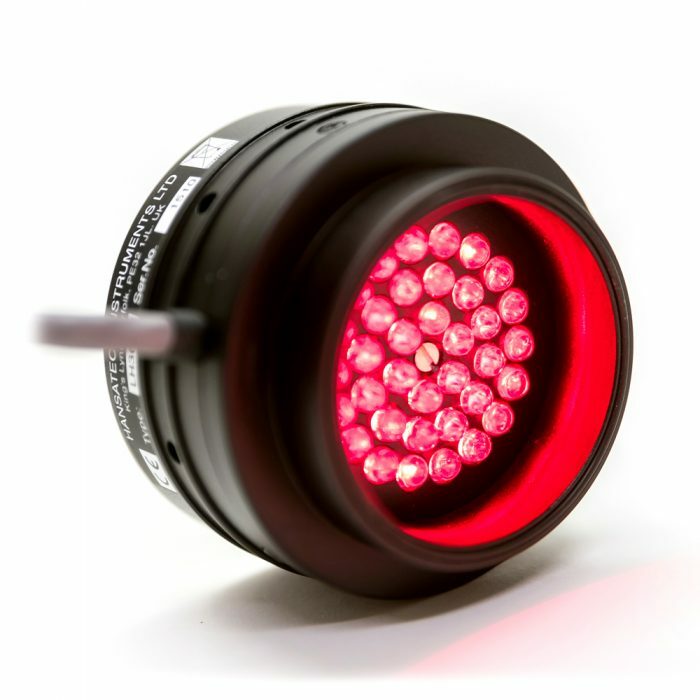 Optical feedback controls within the light housing serves to enhance the stability of the LH36/2R performance across the entire range of intensity. 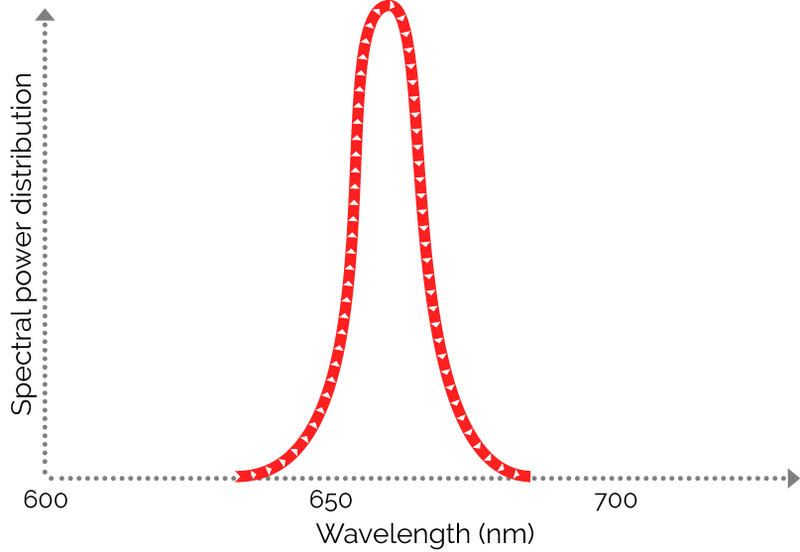 The graph below shows the spectral output of the LH36/2R light source. 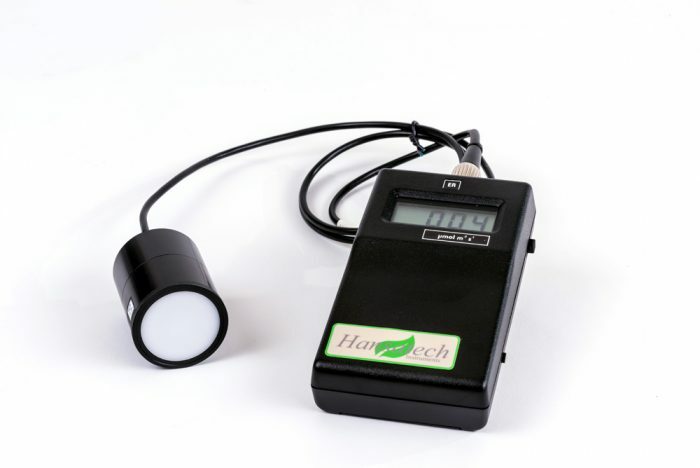 The LH36/2R has a peak wavelength centred at 660nm with a maximum intensity of 900 µmol m-2 s-1 in DW3. Use the tool below to enter search terms as required. 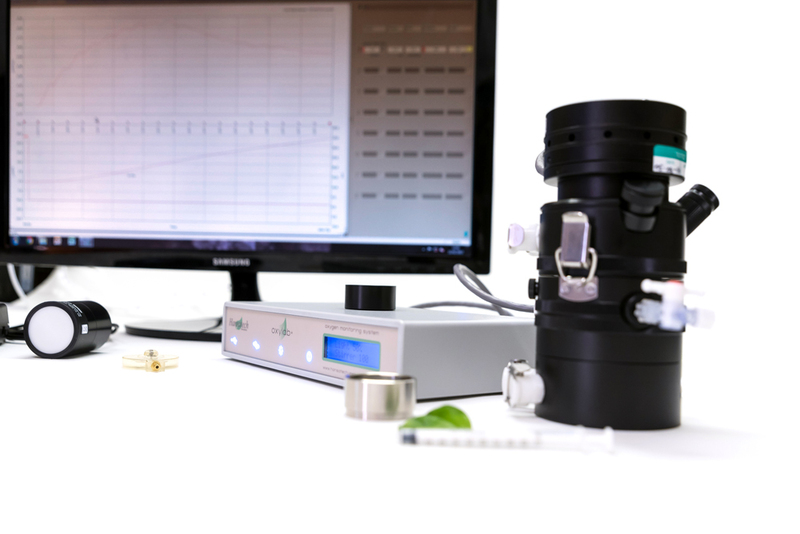 As an example, hansatech instruments Leaflab 2+ System has already been entered into the search box. Press the "Search" button to view the Google Scholar results for this search string.